Welcome back .... HAPPY BLACK HISTORY MONTH!!!!!! So to kick start Black History Month I decided to finally do the Black Owned Makeup Brand Challenge Video that was conceived by Jackeina here on Youtube (check below to watch her video). 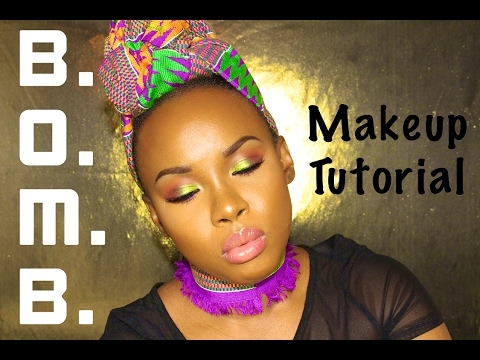 I mostly used the Black Opal Brand for this video, however throughout the Month I will use other Black Owned Products to do other makeup tutorials. I LOVED how this look came out and I hope you did as well. DON'T FORGET TO SUBSCRIBE, LIKE, SHARE, etc. Uugghhhhh this look is so perfect. I can't stop looking at it. The colors look so good together. Awesome video! I watched every detail. How long is this suppose to take from start to finish?